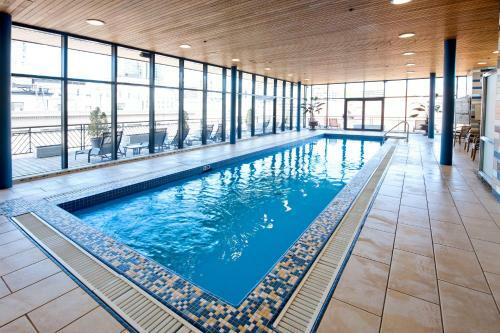 An indoor pool, a gym and a sun deck are located on the roof at Le Square Phillips Hôtel & Suites. 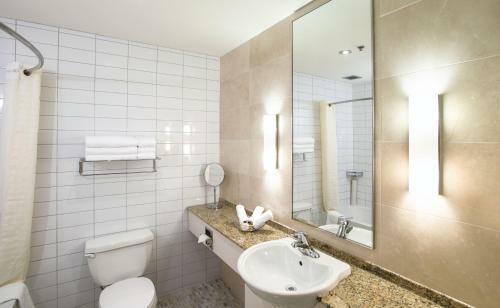 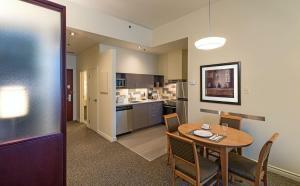 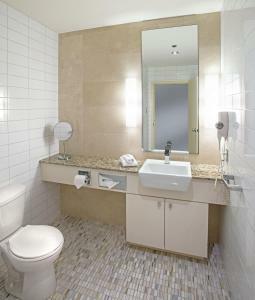 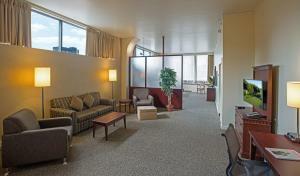 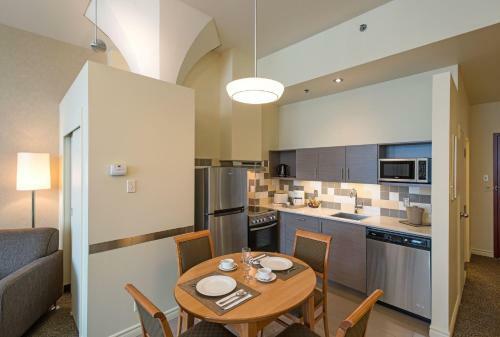 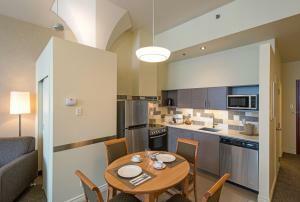 Modern suites provide full kitchen facilities, and Mcgill University is 950 meters away. 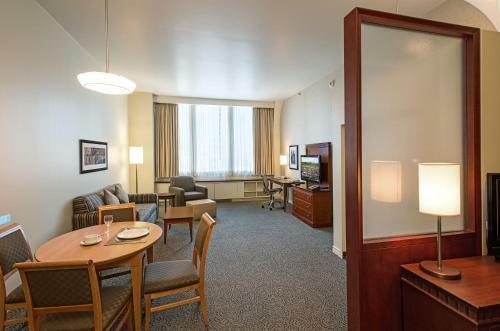 This hotel furnishes each suite with a flat-screen cable TV and safety deposit box. 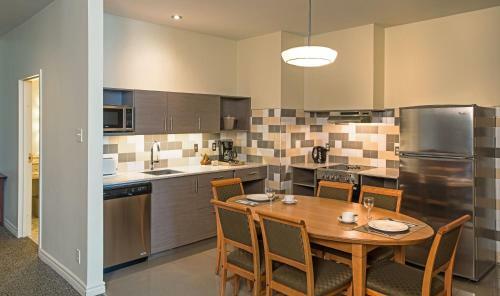 The kitchen area offers a dining table, a stovetop and a dishwasher. 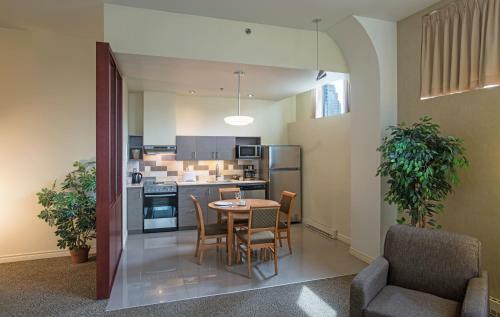 A business centre and laundry facilities are available at this restored historical building by Ernest Cormier. 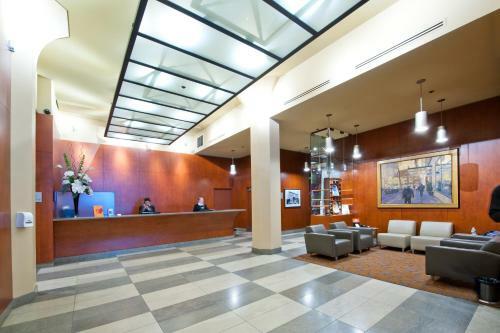 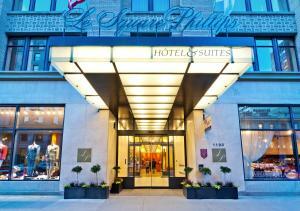 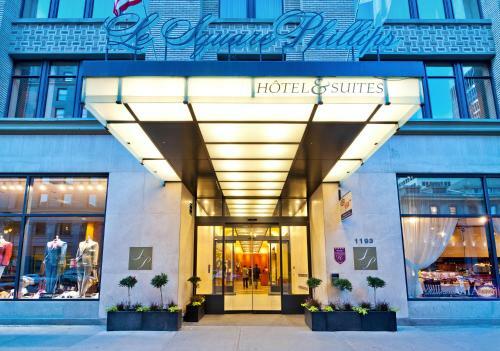 Le Square Phillips Hôtel & Suites offers free newspapers at the front desk. 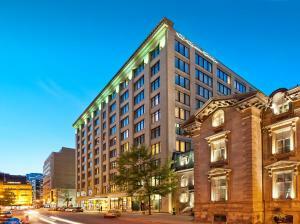 Old Montreal is 1.6 km from the hotel. The Notre-Dame Basilica of Montréal is 15 minutes' walk away. Parkering: Der er privat parkering på stedet (reservering ikke nødvendigt) og koster CAD 25 per døgn.